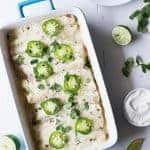 Garlic Herb Mashed Potatoes. 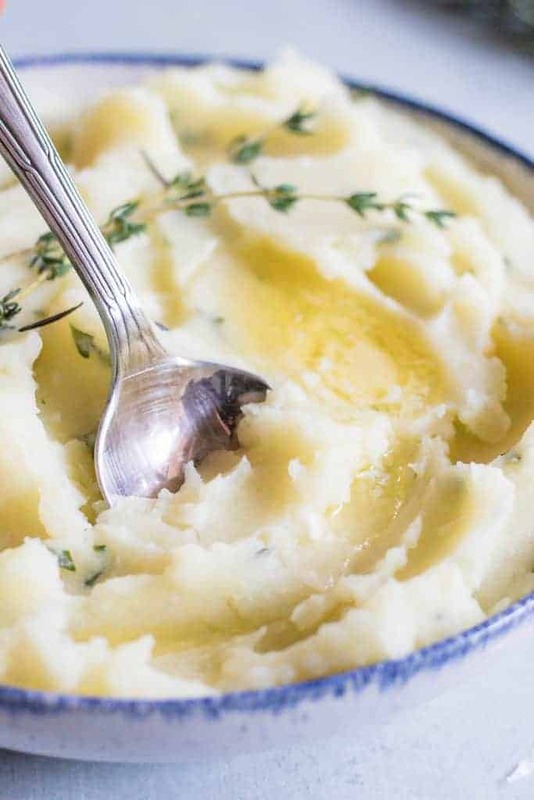 The creamiest mashed potato loaded up with garlic and herbs in every bite! 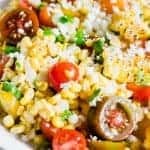 Perfect side dish for any meal. The best part of any holiday meal for me is the mashed potatoes. Actually, mashed potatoes are a pretty much year round comfort food for me. I don’t limit them to just the holidays. 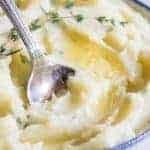 Although, with Thanksgiving coming up, I figured it would be the perfect time to share these Garlic Herb Mashed Potatoes with you. 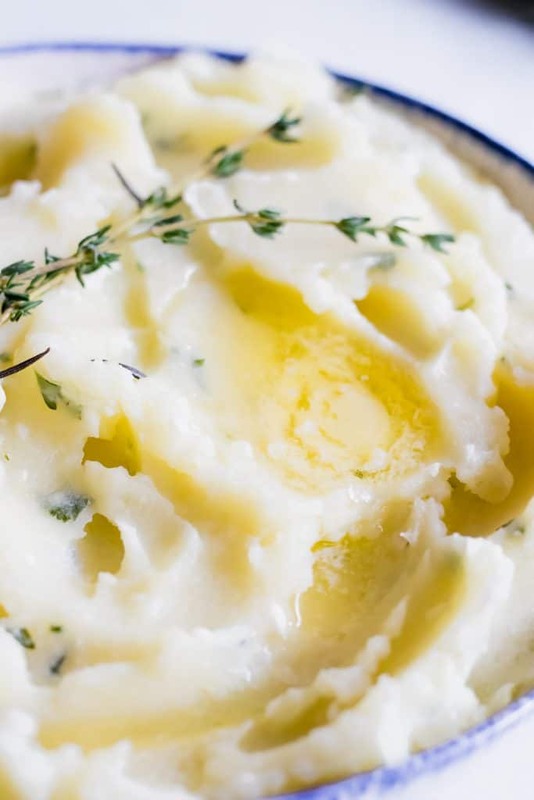 What makes these Garlic Herb Mashed Potatoes so good? I broke down and bought a potato ricer. Did you know that if we over mash our potatoes we release too much starch which leaves us with glue type mashed potatoes. Completely unappetizing. And also something I had no idea about until recently. I used to love using my hand mixer to “mash” the potatoes to get them creamy. Or so I thought. Ricing the potatoes gives that ultra creamy, lump-free mashed potato I love while minimizing the work done to the potato, which is exactly what we want. The other bit of magic? 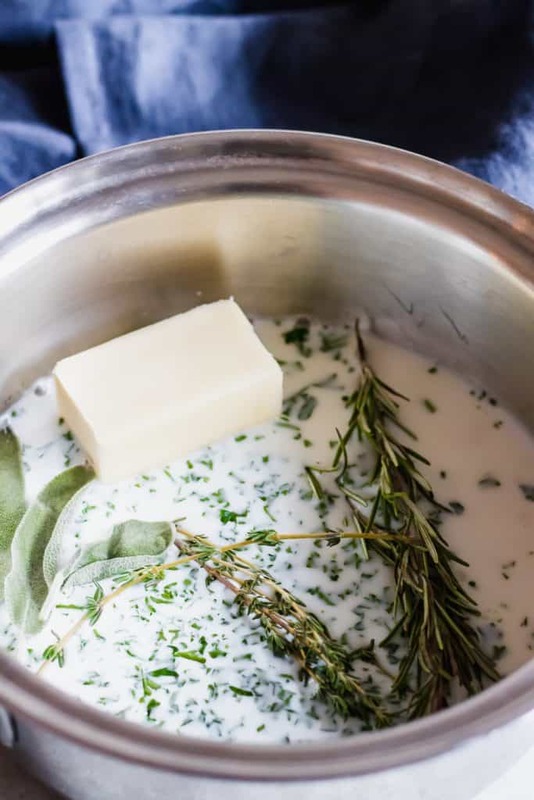 We’re going to heat our butter and milk and steep the herbs in the heated milk to ensure that we have a fresh hit of flavor in every bite of potatoes. 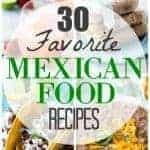 This recipe is a base guideline. 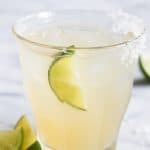 You can use as much or as little of the herbs as you want. The same with the garlic. 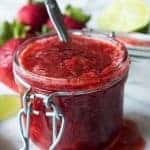 This is one of those simple recipes that is so easy to customize. You could also go all out and load them up with some cheese too. Maybe a little parmesan. Make sure you check out all the other Thanksgiving recipes on the site also! And stay posted, because I have lots more recipes coming at you this week! 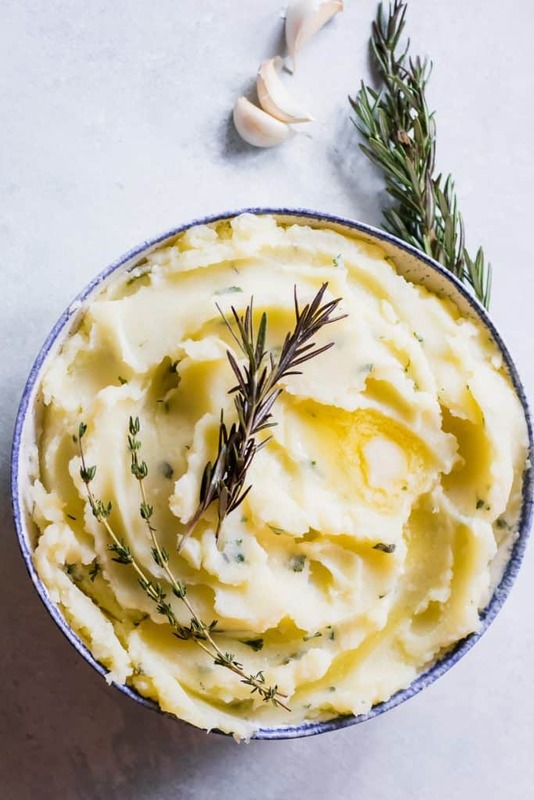 The creamiest mashed potato loaded up with garlic and herbs in every bite! Perfect side dish for any meal. Clean and peel the potatoes. Chop into chunks about 1 inch by 1 inch. Add to a large pot. Add water to the pot, just enough to cover the potatoes. Bring to a boil over medium high heat. Pour in the salt. Let the potatoes boil until they are softened and easily mashed with a fork. In a smaller saucepan add the milk, butter, garlic and herbs. Bring to a boil, simmer for about 2-3 minutes then cover the pan, remove from the heat and allow to sit for about 15-20 minutes. When the potatoes are done boiling, pour into a strainer to remove all the water. Using a potato ricer (or masher) rice or mash the potatoes into a large bowl. Remove the stems and whole leaves from the milk and butter mixture. Leave the chopped herbs. Pour into the mashed potatoes. Stir to combine.